The most trusted source for fence installation services in Waterloo, Illinois, or any other nearby community, is Chesley Fence & Deck. 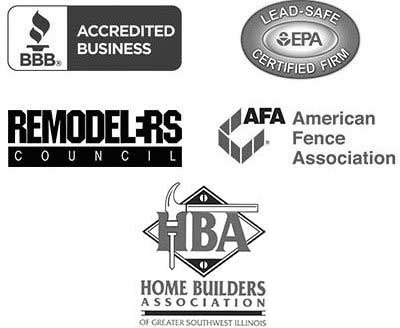 We have been serving homeowners since 1967, and no other company has installed more fencing in the area than we have. Our experience allows us to efficiently and precisely install any length of fencing in any configuration, so you can be sure that your new fence will perfectly meet your specifications. Premium Western Red Cedar – Our top-quality cedar has a natural warmth and is superior to other wood products because of its enhanced resistance to warping and cracking. Vinyl – Our American-made vinyl fencing has a seamless appearance and requires little upkeep to maintain its beautiful appearance. Ornamental aluminum – An 11-step powder coating process prevents this fencing from chipping or peeling over the long term. It is even backed by a lifetime warranty. What’s more, we have strict fence installation standards, ensuring your fencing will stand strong against the elements. For example, we mix concrete on site and use true 2×4 rails for enhanced durability. 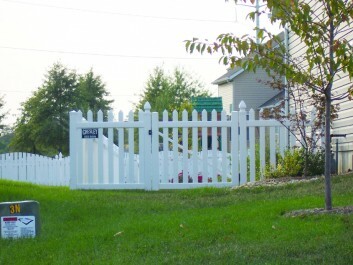 To learn more about the fence installation services we provide to homeowners in Waterloo, IL, contact Chesley Fence & Deck today.